Image feature detectors and descriptors have made a big advance in several computer vision applications including object recognition, image registration, remote sensing, panorama stitching, and 3D surface reconstruction. Most of these fundamental algorithms are complicated in code, and their implementations are available for only a few platforms. This operational restriction causes various difficulties to utilize them, and even more, it makes different challenges to establish novel experiments and develop new research ideas. SeLibCV is a Software as a Service (SaaS) library for computer vision researchers worldwide that facilitates Rapid Application Development (RAD), and provides application-to-application interaction by tiny services accessible through the Internet. Its functionality covers a wide range of computer vision algorithms including image processing, features extraction, motion detection, visualization, and 3D surface reconstruction. 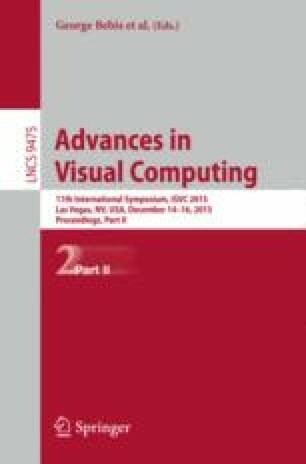 The present paper focuses on the SeLibCV’s routines specializing in local features detection, extraction, and matching algorithms which offer reusable and platform independent components, leading to reproducible research for computer vision scientists. SeLibCV is freely available at http://selibcv.org for any academic, educational, and research purposes.